It's our last full week in Florida and there isn't much time for reading. My attention is instead focused on packing, end-of-season tasks, "one last time" activities, and the few things left on our to-do list. My sister assures me it's safe to head home. The snow has finally melted, but temperatures will only be in the 50s by the middle of next week. Sounds chilly to me... I was hoping for 60s. Before my wife turned vegetarian, I'd always thought of her as completely unremarkable in every way. To be frank, the first time I met her I wasn't even attracted to her. Middling height; bobbed hair neither long nor short; jaundiced, sickly-looking skin; somewhat prominent cheekbones; her timid, sallow aspect told me all I needed to know. As she came up to the table where I was waiting, I couldn't help but notice her shoes - the plainest black shoes imaginable. 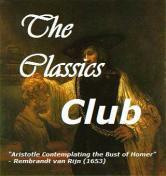 And that walk of hers - neither fast nor slow, striding nor mincing. 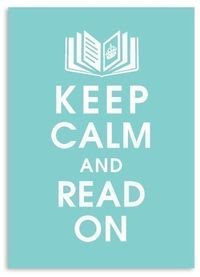 I can't wait to read more tonight! 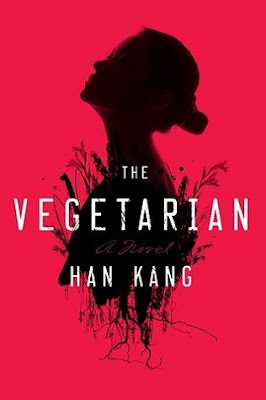 With the addition of The Vegetarian, my reading has taken a all-Korean turn this week. I'm still listening to Nothing to Envy, a book which follows the lives of six North Koreans over fifteen years—a period which includes Kim Il-sung's death in 1994, the rise of his son Kim Jong-il, and the devastating famine. Before beginning this book, I was embarrassingly uninformed about North Korea, so am appreciating the much-needed background and history. With another three hours to go, I plan to finish before we begin the drive home. Do you have recommendations for further reading on North Korea? Georgie, aka Lady Victoria Georgiana Charlotte Eugenie, cousin of King George V of England, is penniless and trying to survive on her own as an ordinary person in London in 1932. So far she has managed to light a fire and boil an egg... She's gate-crashed a wedding... She's making money by secretly cleaning houses... And she's been asked to spy for Her Majesty the Queen. Everything seems to be going swimmingly until she finds a body in her bathtub... and someone is definitely trying to kill her. A lot of bloggers enjoy Rhys Bowen's novels and now I understand why. After a couple of nonfiction audiobooks, I was in the mood for something completely different - "Georgie" to the rescue! Bowen takes full advantage of her heroine's position (34th in line to the throne and flat broke) to create an endearing character while delivering some unexpectedly comical scenes. Katherine Kellgren's British accent added to my enjoyment. Her pacing and delivery were pitch perfect. I will certainly continue listening to this series. 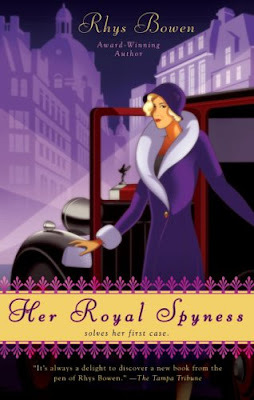 Overall, Her Royal Spyness reminded me of a light-hearted Maisie Dobbs. In fact, I'll likely reach for the next book in this series before catching up with Maisie. 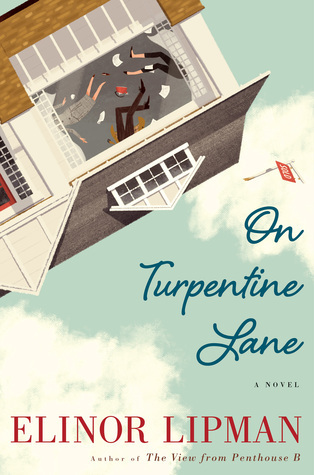 If I hadn't been naive and recklessly trusting, would I ever have purchased number 10 Turpentine Lane, a chronic headache, masquerading as a charming bungalow? "Best value in town," said the ad, which was true, if judging by the price tag alone. I paid almost nothing by today's standards, attributing the bargain to my mother's hunch that the previous owner had succumbed while in residence. Not so off-putting, I rationalized; don't most people die at home? On moving day my next-door neighbor brought me a welcome loaf of banana bread along with the truth about my seller. A suicide attempt . . . sleeping pills . . . she'd saved them up until she had enough, poor thing. And who could blame her? "Strong as an ox," she added. "But a whole bottle?" She tapped the side of her head. "Brain damage?" I asked. "Brain dead?" "Her daughter had to make the awful decision long distance." At thirty-two, Faith Frankel has returned to her claustro-suburban hometown, where she writes institutional thank-you notes for her alma mater. It's a peaceful life, really, and surely with her recent purchase of a sweet bungalow on Turpentine Lane her life is finally on track. Never mind that her fiancé is off on a crowdfunded cross-country walk, too busy to return her texts (but not too busy to post photos of himself with a different woman in every state.) And never mind her witless boss, or a mother who lives too close, or a philandering father who thinks he's Chagall. 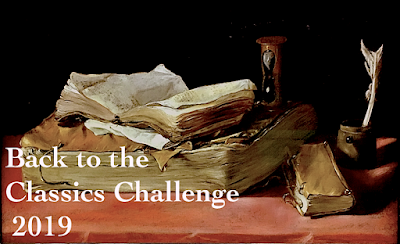 When she finds some mysterious artifacts in the attic of her new home, she wonders whether anything in her life is as it seems. What good fortune, then, that Faith has found a friend in affable, collegial Nick Franconi, officemate par excellence . 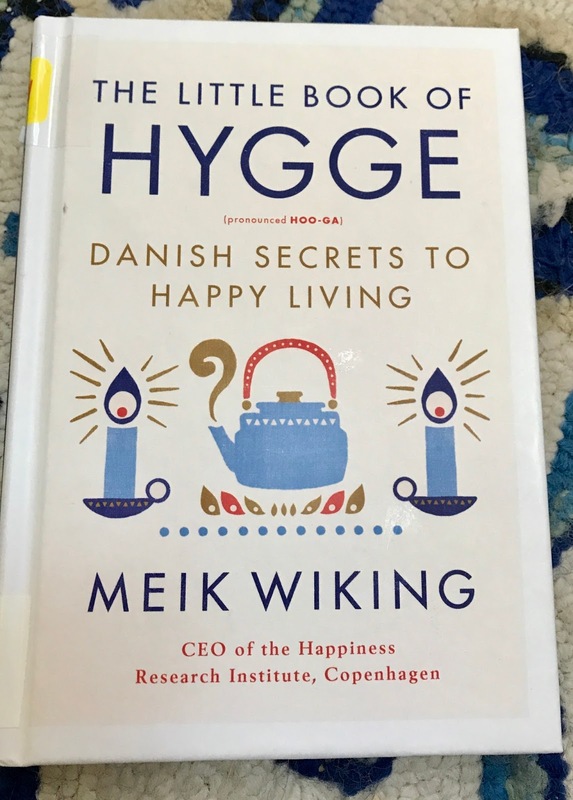 This one has been in my audible library and on my kindle for quite some time, but seemed especially appropriate this week. Published in 2009, it's an eye-opening account of everyday life in North Korea. I'm hoping it's still current enough to provide insight as I continue to follow the news. 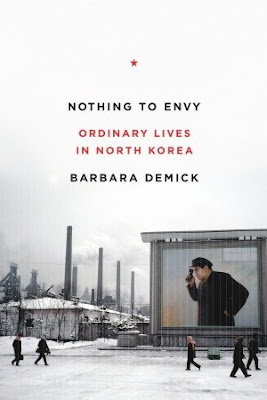 Nothing to Envy follows the lives of six North Koreans over fifteen years—a chaotic period that saw the death of Kim Il-sung, the unchallenged rise to power of his son Kim Jong-il, and the devastation of a far-ranging famine that killed one-fifth of the population. Taking us into a landscape most of us have never before seen, award-winning journalist Barbara Demick brings to life what it means to be living under the most repressive totalitarian regime today—an Orwellian world that is by choice not connected to the Internet, in which radio and television dials are welded to the one government station, and where displays of affection are punished; a police state where informants are rewarded and where an offhand remark can send a person to the gulag for life. Demick takes us deep inside the country, beyond the reach of government censors. Through meticulous and sensitive reporting, we see her six subjects—average North Korean citizens—fall in love, raise families, nurture ambitions, and struggle for survival. One by one, we experience the moments when they realize that their government has betrayed them. Nothing to Envy is a groundbreaking addition to the literature of totalitarianism and an eye-opening look at a closed world that is of increasing global importance. I've been listening on my morning walks and it's kept me going the entire hour, despite rising temperatures. I'm in Florida until early May. Meandering, thoughtful, light on plot. Lillian Boxfish Takes a Walk, a novel about a woman and the city she cherishes, is truly a delightful read. I opened the book, discovered endpapers imprinted with a map of Manhattan detailing Lillian's journey, and instantly fell in love. On New Year's Eve in 1984, 85-year-old Lillian Boxfish takes a long walk around Manhattan. From her Murray Hill apartment, to Battery Park, St. Vincent's Hospital, and eventually Macy's in Herald Square, with stops at restaurants, a bodega, a house party in Chelsea, and Penn Station, the walk chronicles her interactions with old friends and random strangers, as well as her ruminations on life and the city she loves. Not all that much actually happens in this novel, but Lillian's interactions with clerks, restaurant patrons, and would-be muggers will make you laugh and may even bring a tear to your eye. I especially enjoyed her reflections on career (she was a Macy's advertising executive in the 1930s), love, marriage, and motherhood. 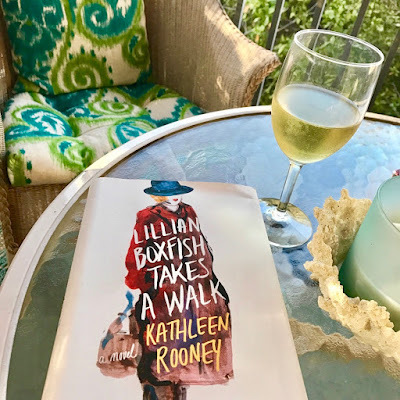 By the way, Lillian Boxfish is loosely based on the life of Margaret Fishback. Don't miss the author's note at the end.